Once upon a time, a little girl took dancing lessons. 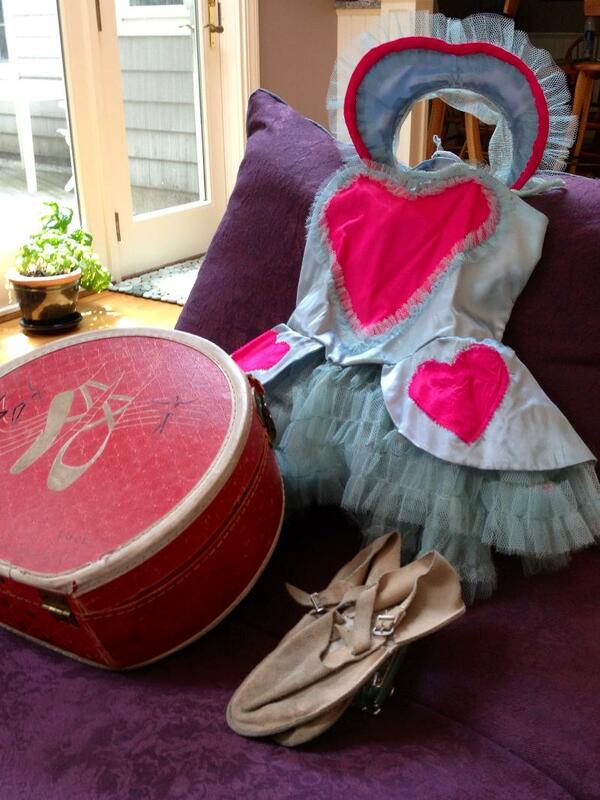 She loved the music, the thought of ballerinas and especially the fabulous costume she would wear at her recital. Technically, she wasn’t the best in the class, but it simply didn’t matter because dancing made her happy. Until one day she overheard her well-intended father half-jokingly say something like, “Look at her! She’s so cute but she has two left feet!” The music in her head quickly stopped and everything came to halt because that one comment became a defining moment for our ballerina. As you may have guessed, the ballerina was me and for years to follow, I turned that comment into a belief that became a reality for me. The “reality” that I couldn’t dance became a truth and it reared its ugly head and impacted me for years. This is just one example of how powerful the stories we choose to believe can be. But time passed, and at age 47 I found myself in the midst of amazing (and still on-going!) change and growth. Much time was spent doing inner-work around my evolving goals and career path. With the help of great coaches and mentors, I was closely examining many of the beliefs that were holding me back. During that time, I went to my niece Ilana’s 12th birthday party (she is now 29) at a dance studio, and found myself delighted while watching as she and her friends had an absolute blast doing Street Funk. It looked like so much fun! It took great courage, but I signed up for a Street Funk class. As part of the dance routine, I had to dance across the floor by myself, which was quite terrifying and humiliating, to say the least! I thought about the quitting many times but decided to stick it out. With the inner work I had been doing and some serious editing of my tale, I was ready to transform my belief around my inability to dance. Turn the page to my 60th birthday – Not only did I have a dance party with family and friends in celebration, but I took it a step further. Having graduated from Street Funk to Zumba, I went to the front of my Zumba class (in the company of 75 supportive women) and lead a dance with my fabulous Zumba teacher, Susan. With great joy, I realized my story had changed. I no longer had two left feet, but instead, earned a new empowering belief. The truth is, I can dance! We have choices about the thoughts that influence our actions and day-to-day lives. We can change the same old stories we’ve come to believe and trust…if they don’t serve us. With honest awareness, willingness and acknowledgement of our own grim tales, it’s possible to delete and upgrade our thoughts to new and empowering beliefs. 1) Where am I stopping myself from really going full-out on the dance floor of my own life? 2) What’s the “cost” of hanging on to the story? 3) Does this story serve me as I consider my true values? 4) How can I edit the story (what dance steps can I take?) in a way that would be more positive, beneficial and empowering in my life? NOW is the time to rewrite the new story the way you want it to be. And please, don’t judge yourself, as no story that holds you back is small or unimportant. Begin with these three words: The Truth Is … As your new story inspires you to take action and move toward change, remember, that it’s the blue print for your future and is a far cry from: The End.